Carrots and parsnips from your own garden have an earthy sweetness about them — once tasted the shop-bought ones may never taste the same. These hearty root vegetables can be grown for most of the year although winter cold slows their growth (the soil acts as an outdoor refrigerator, keeping vegetables crisp and nutrient rich). The best way to grow carrots and parsnips is from seed (though it is possible to transplant seedlings), and if you sow seed now you’ll have a winter harvest. Choose a sunny spot and whether you dig your own or buy bags of growing mix, soil is the key — it should drain well and have a loose, even texture. While deformed carrots (they still taste good) have a certain quirky appeal, if you hanker after neat, tapered specimens that are easy to peel, you’ll need to remove lumps of compacted soil and stones — these send young taproots growing in all directions. A bed of fine, crumbly soil is ideal (preferably where a well-fertilised crop of leafy greens have previously grown). Excessive fertiliser, especially nitrogen, will also lead to warped carrots. Just apply a side dressing of balanced general garden fertiliser or liquid feed once carrots are growing. Once the seedlings are around 3-5cm tall it’s time to sacrifice a few plants to make room for others to grow. Leave about 2-3cm between each seedling and as plants grow, thin some more and eat the seedlings (for a continuous supply sow every 3-4 weeks). Carrots come in a range of shapes, sizes and colour and there’s some interesting heritage varieties. Try the 19th century ‘Paris Market,’ a small, round carrot (shaped like a radish) which matures early and is popular with kids (because of its size). 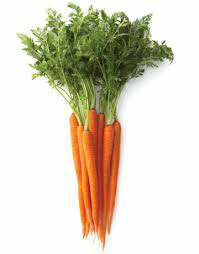 Carrots are only 2.5cm to 4cm in diameter when fully mature (cover shoulders to prevent greening). ‘Purple Dragon’ is another heirloom, with a sweet, spicy taste, which produces medium length carrots in a variety of colours including dark violet and reddish purple. Parsnip seed is very short-lived so it’s best to use fresh seed — check date on seed packets. Even with fresh seed and perfectly prepared soil, seed can take a long time to germinate. A good idea is to sow radish rows of radishes as markers between the parsnips. Radishes will be ready to eat when parsnips are ready for thinning. Parsnips are very cold-resistant and can be stored in frozen ground until you’re ready to eat them. 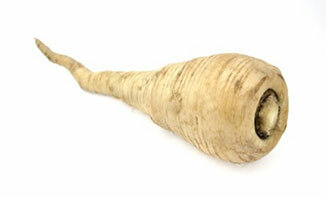 But do harvest before growth starts in spring or your parsnips will turn woody and unpalatable. The variety ‘Hollow Crown’ is recommended for late summer sowing and is a traditional favourite. The large, tapering roots are creamy, tender and sweet tasting. The French heirloom (pre 1826) ‘Guernsey’ is a reliable, sweet-tasting variety that produces large tops and needs a good 30-40cm elbow room in each direction — the more room you give them the larger they’ll grow. For more information about carrot and parsnip varieties, go to www.yates.co.nz and www.kingseeds.co.nz (available from Otaki Hydroponics, State Highway 1).